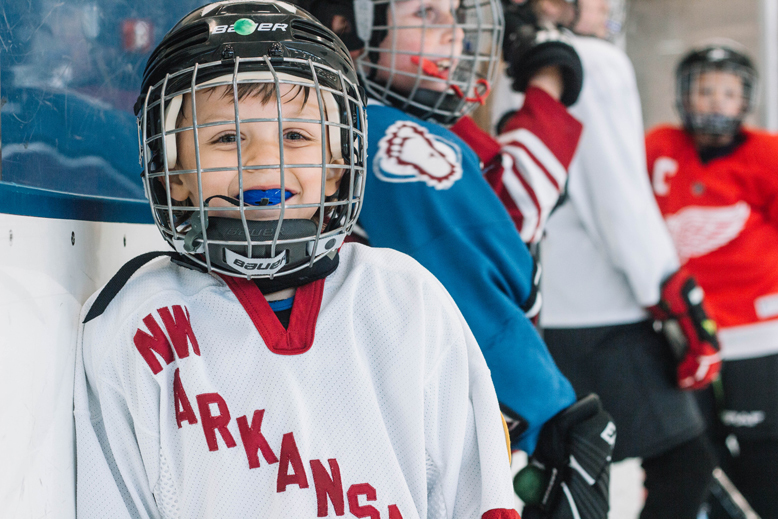 The Jones Center is proud to introduce our new "Intro to Hockey" program starting on April 9, 2016. This is a fun, skating skills based program and run by our team of experienced coaches for children of all ages. SATURDAYS | 10:15-11:15 AM From 10:15-10:45am participants will learn the skating skills and techniques needed to play hockey. From 10:45-11:15am participants will play with sticks and pucks while practicing skating techniques. Forward skating, backward skating, stopping, transitions.... skaters will learn the skating skills needed to play hockey. Cost: $60 for the 6 week session. Want to sign up? Just call the reception desk at 479-756-8090 (ext 2100) and pay over the phone, or come by the reception desk during normal operating hours to register for this new program.